Nacotchtanks, “Nacotchtanks,” Histories of the National Mall, accessed April 22, 2019, http://mallhistory.org/items/show/123. The Nacotchtanks are a Native American Algonquian tribe who once lived on land which is now near the National Mall. Captain John Smith noted that the village had 80 fighting men in 1608. 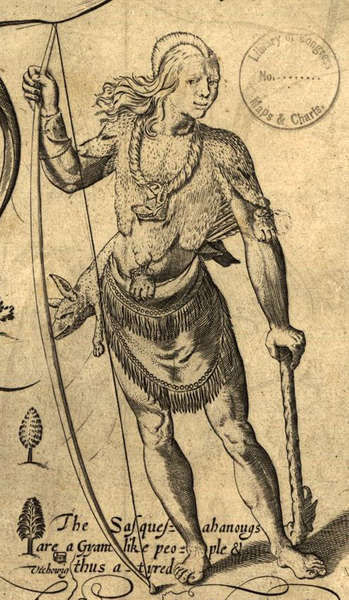 The Nacotchtanks likely spoke the Piscataway variation of the Nanticoke language. Prominent fur traders, the Nacotchtank village was a trading center for other Indian tribes on the East Coast and for European fur hunters. 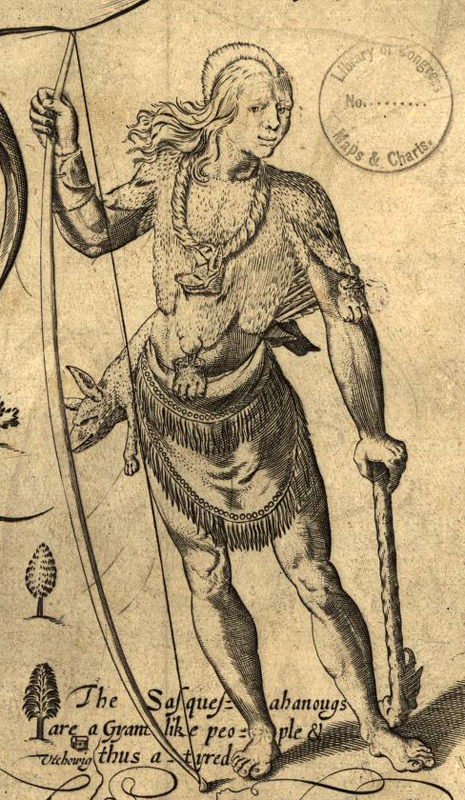 Disease from European settlers took a heavy toll on the tribe. Eventually, they moved to Anacostine Island, today called Theodore Roosevelt Island, in the late 1680s. Over time the tribe merged with other local native groups. John Smith's Map of Virginia, 1624. Library of Congress Geography and Map Division. View original image.